In my article about trying a new craft for Spring, I mentioned Susan Lenart Kazmer’s Exploring Resin Jewelry Making video download. But it is such a stand-out product, it deserves some more attention! There’s a lot to learn about this craft, and Susan’s video shows how to prepare and pour ICE Resin, how to make a mold for your resin from found objects, how to add color and sparkle, and so much more! It is chock full of tips and tricks to help you begin your journey of working with epoxy resin. Join artist and best-selling author Susan Lenart Kazmer in five watch-and-learn episodes as she shows you step-by-step how to create one-of-a-kind designs using resin, found objects, special mementos, and other unique mixed media. You’ll learn how to master resin basics such as proper mixing, application, curing, drilling, safety tips, and finishing–all while using a non-toxic resin. Enhance your skills with a variety of fun techniques to make charms, pendants, and more! 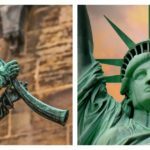 Ranger Industries also has a really great selection of ICE Resin jewelry making products and a ton of free videos about their products. Whether you are just starting to dabble in ICE Resin like me, or you’re an old pro–you’ll learn a thing or two and find inspiration in Exploring Resin Jewelry Making by Susan Lenart Kazmer. Susan has made a career out of creating gallery-worthy ICE Resin jewelry with metal and wire. Learn how along with her! 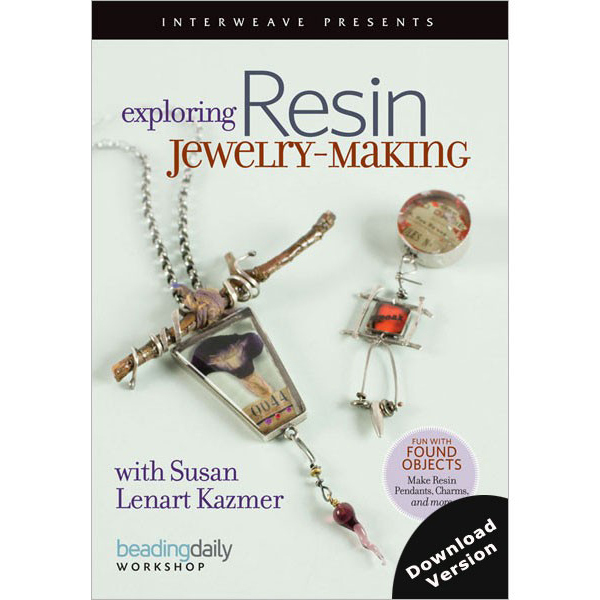 Learn resin jewelry making, metalwork, enameling and more from Susan in the Interweave Store!